We get excited about a lot of things here at Flat-Out. Things with engines, bicycle-shaped things, things with mammoth battery packs and even inanimate things. 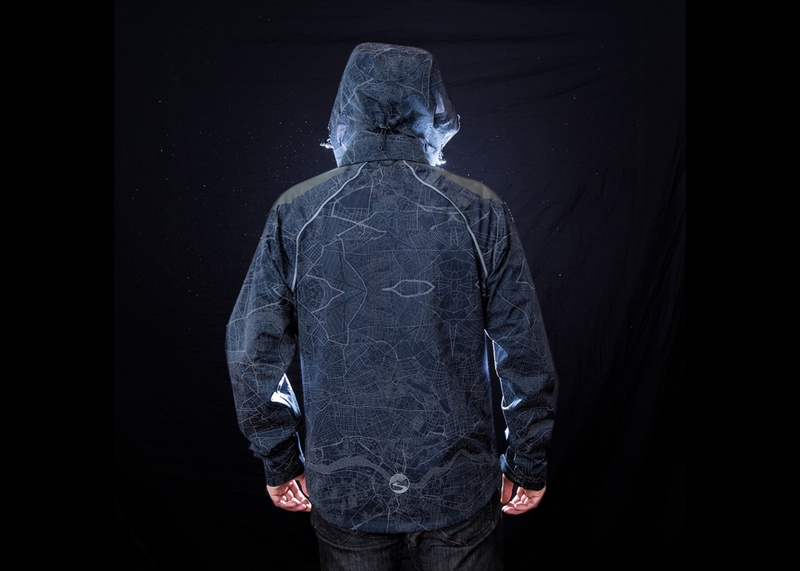 Another one you can add to that list is shiny things, and the latest storm proof jacket from seasoned bicycle apparel manufacturers Showers Pass is one of the most eye-popping pieces of design we’ve seen in years… literally. Fashioned from three layers of waterproof breathable fabric and finished with a PFC-free durable water repellent treatment and fully sealed seams for all weather protection, the new Atlas is guaranteed to keep you dry when pounding the urban streets on your fly Fixie. But more interestingly, a unique MapReflect fabric design covers the garment and remains incognito during the day but lights up like a Christmas tree when hit with headlamps. The design consists of 11 international cities known for cycling (Portland, New York, Washington DC, Paris, Barcelona, Amsterdam, London, Newcastle, Berlin, Sydney and Taipei), while the unique way the fabric is cut during production ensures no two jackets are exactly alike. 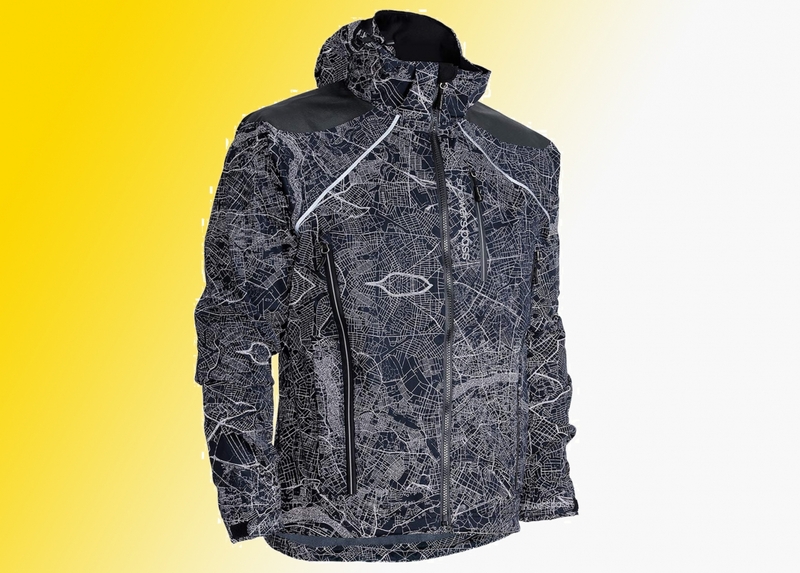 Tested to the extremes, Showers Pass claims the screen-printed reflective map pattern is visible from 200 meters with car headlights, so you remain safe while doing your bit from the environment, keeping fit and generally being a pedal-powered legend.